Year-over-year revenue growth stalled for Fitbit, Inc. (NYSE: FIT) in the third quarter, which is not a bad thing for Fitbit stock or the company. The wearables devices supplier is starting to find its footing as it seeks to advance its goal of making everyone in the world healthier. Fitbit has a number of important comparative advantages that could help boost FIT stock going forward. One of Fitbit’s major competitors is Garmin Ltd. (NASDAQ: GRMN), which is around ten times bigger than Fitbit by market cap. Plus, GRMN is well-managed. But FIT has a number of advantages over Garmin: it has superior branding, its wearables tend to cost less and it has more back-end data that it can leverage. Fitbit’s community as of Dec. 31, 2017, was 25 million users. Its data set, which includes activity, exercise, and sleep, is one of the largest in the world. Fitbit has impressive lifetime sales figures; it has sold 84 million devices so far in 86 countries. On both the iOS and Android app store, it is ranked number one. So the fact that its revenue did not increase year-over-year in Q3 is not necessarily a horrible thing. The company’s ASP (average selling price) rose 3% to $108 per device. Smartwatches accounted for 49% of its revenue and 38% of its unit sales. Domestic sales generated 58% of its top line. The company’s global expansion, which started a few years ago, is bearing fruit. But back then, FIT had trouble managing its operating costs, and they outpaced its revenue. Occasional promotions, a favorable mix of diversified wearable devices, and a product refresh all enabled the company’s revenue levels to stabilize. Meanwhile, its operating expenditures sank 17% year-over-year. Stabilizing revenue and declining costs should be a good combination for FIT stock. In Q3, Fitbit refreshed its product lineup. The Charge 3 tracker device, which is the company’s most advanced health and fitness tracker, had a strong launch. The device continues to be the best-selling tracker in the U.S.
Fitbit Versa, a smartwatch that is priced for “mass-appeal,” outsold the competition, namely Samsung, Garmin, and Fossil Group, Inc. (NASDAQ: FOSL). Since FIT stock is still around 30% below its 52-week highs, the market is ignoring the impressive branding power of the company’s wearables. Fitbit cut its operating costs by reducing its R&D spending by 8% from last year to $65.7 million. It did not sacrifice innovation, cutting costs in this important area by spending less on consultants. In the areas of sales and marketing, the company’s costs fell 14% to $63.4 million. Using product quality improvements, FIT lowered its warranty and customer support expenses. Impressively, the company’s revenue levels held up even though its media and marketing spending fell. Fitbit ended the third quarter with $623.3 million in cash, cash equivalents and marketable securities as its cash flow came in at positive $47.1 million. Given that Fitbit stock has a price/book ratio of 1.96 times, the market is not assigning much value to the company’s business. Plus, since the company should generate about $90 million of free cash flow in Q4 while its smartwatch business grows, FIT stock price should bounce back. Only seven analysts cover Fitbit stock, and their average price target implies an upside of 25%. Pessimistic investor may turn to a ten year DCF Revenue Exit model, assuming that the company’s revenue growth will be flat through fiscal 2020, and increase just 1.0% annually after that until FY2027. At a discount rate of 9%-11% (as shown above), FIT stock is worth around $6.03 per share. With Fitbit stock trading below that level, investors should take a serious look at Fitbit again. Strong sales during the holiday period could enable Fitbit stock to trade well above $6.03 by early 2019. As of this writing, the author does not own shares in any of the companies mentioned. 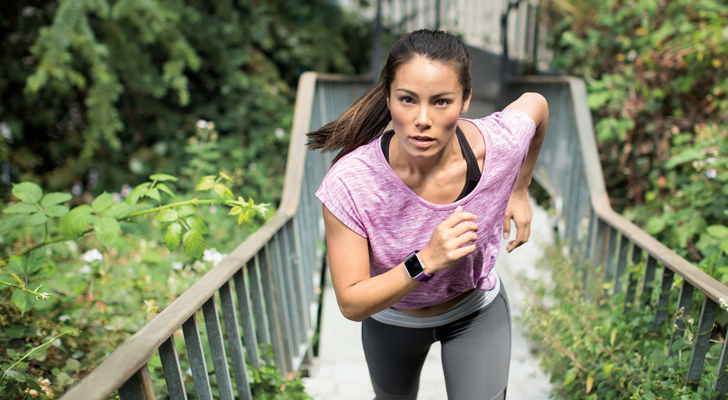 Article printed from InvestorPlace Media, https://investorplace.com/2018/12/fitbit-stock-is-worth-a-look/.